We live in world full of colour and colour plays an important role in our life. Blue is a primary colour. It is relaxing and calm colour. The blue colour was introduced on Tuesday, 17th July 2012. 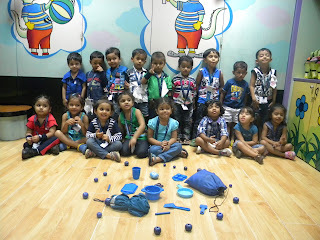 The class was decorated with different blue colour objects. Children as well as teachers came dressed in blue colour clothes. Children were shown different blue colour objects related to the story and which was then followed by an activity. 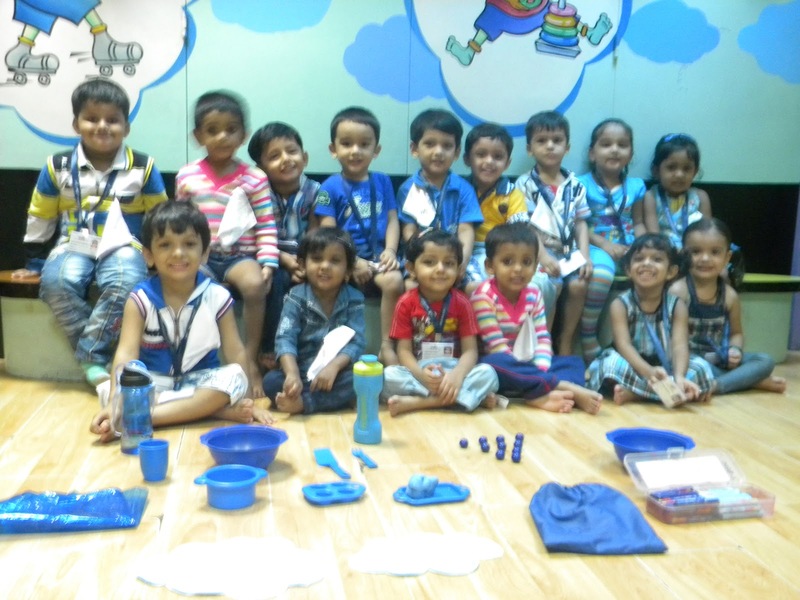 The children were excited and actively participated in the story shown by the teacher and were eager to learn about a new colour.